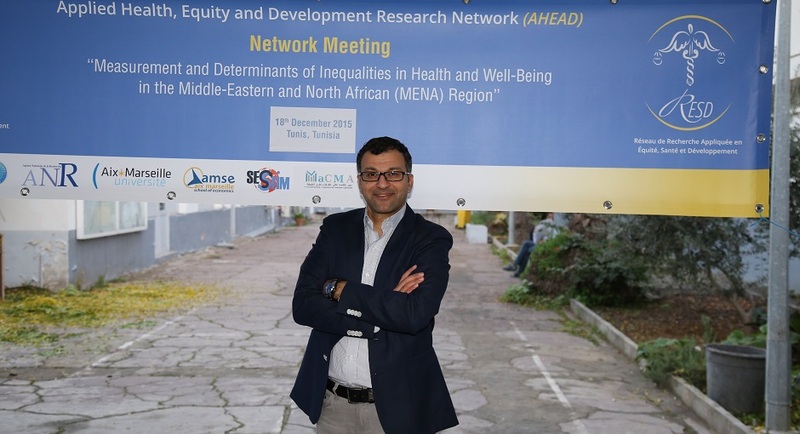 AHEAD SCIENTIFIC SYMPOSIUM is the premiere Euro-Mediterranean regional event where the community of researchers and scholars from both developed and developing countries meet; where research results are presented and discussed; where new proposals for research and scientific collaborations are elaborated, nourished and discussed and where excellence is celebrated. 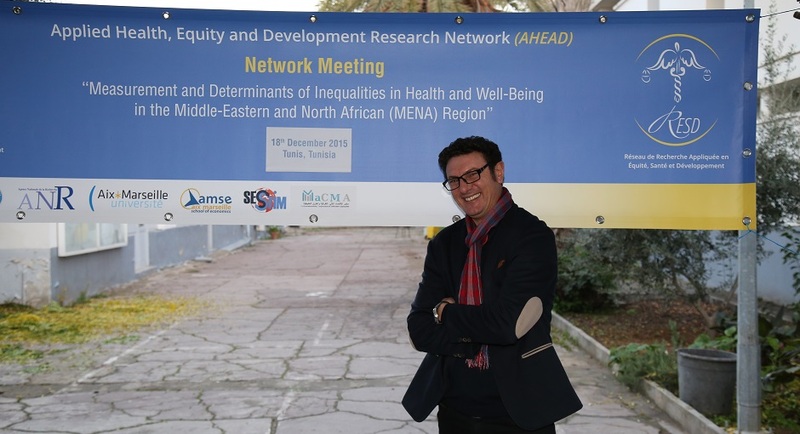 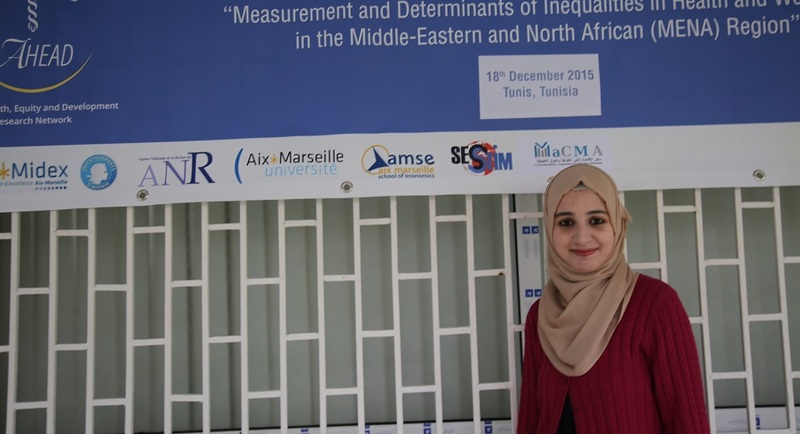 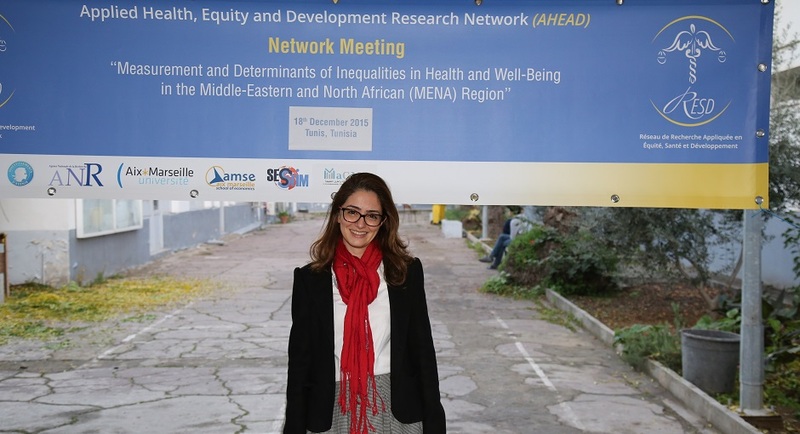 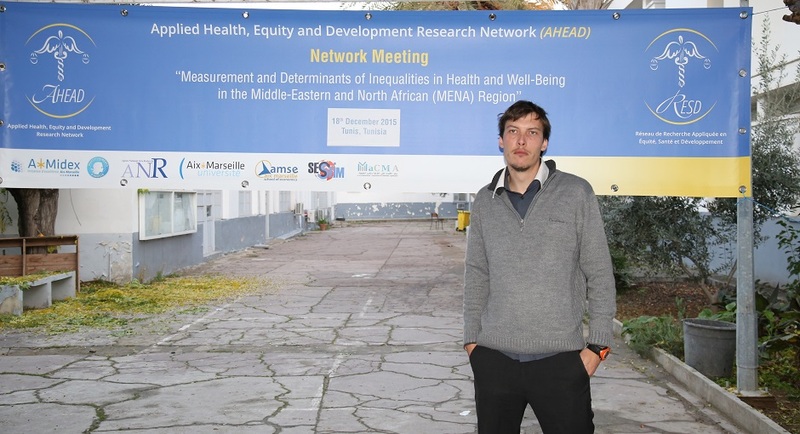 The second symposium of the AHEAD Network was held in Tunisia on December 18th, 2015, in collaboration with University of Tunis, Institut Supérieur de Gestion de Tunis (ISGT) and Laboratoir de Macroéconomie, Conjoncture et Méthodes Appliquées (MaCMA). 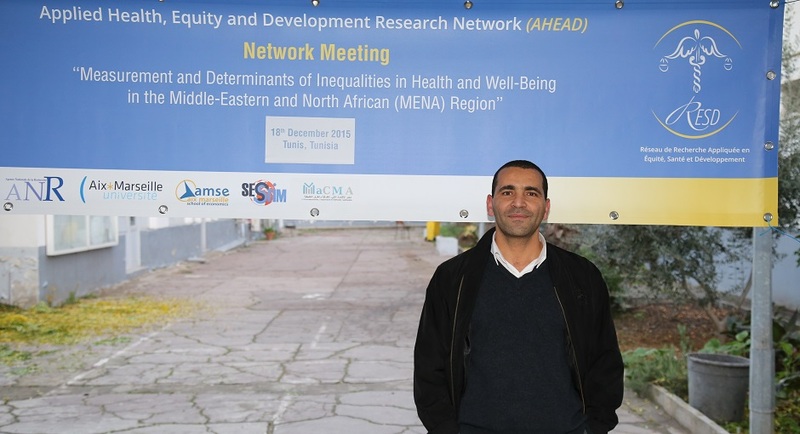 The main theme of the symposium was ‘Advancing Health Equity and Universal Health Coverage Research in the Mediterranean Basin’. 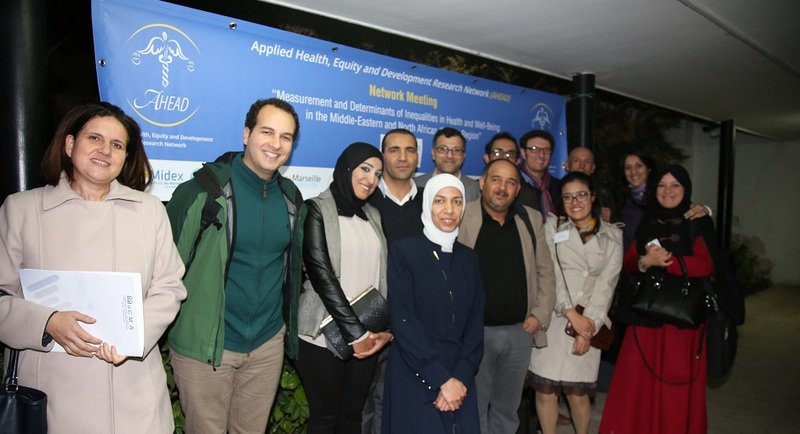 The symposium took place after a workshop on "the feasibility and challenges of expanding the breadth of health coverage towards achieving the goal of Universal Health Coverage (UHC) in the MENA Region" (organized in collaboration with our partner MaCMA-ISG on December 16th and 17th 2015). 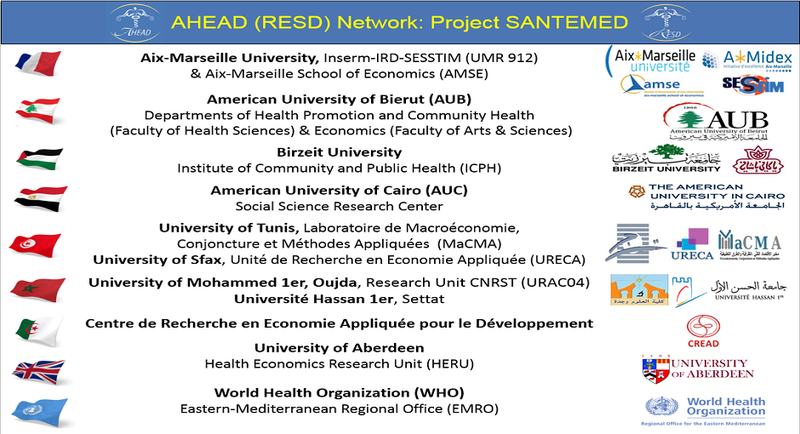 The symposium's first session, by Dr. Mohammad Abu-Zaineh (coordinator of the AHEAD Network), presented the main research results of the project SANTEMED. 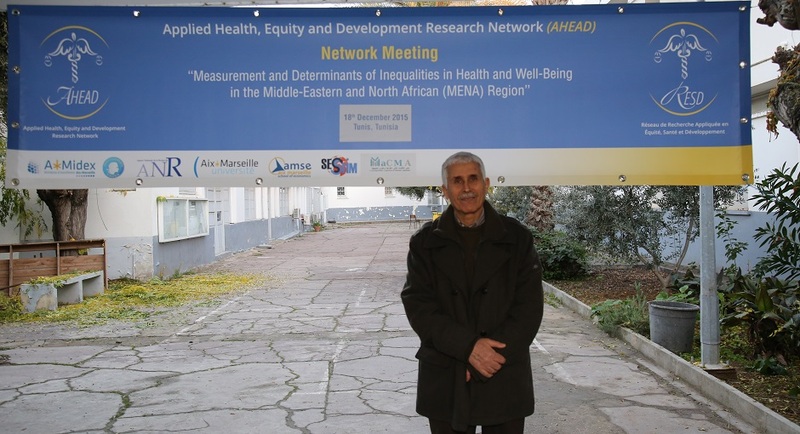 Dr. Marwân-al-Qays Bousmah (AHEAD responsible for communication) then presented the main features of the new AHEAD e-Platform. 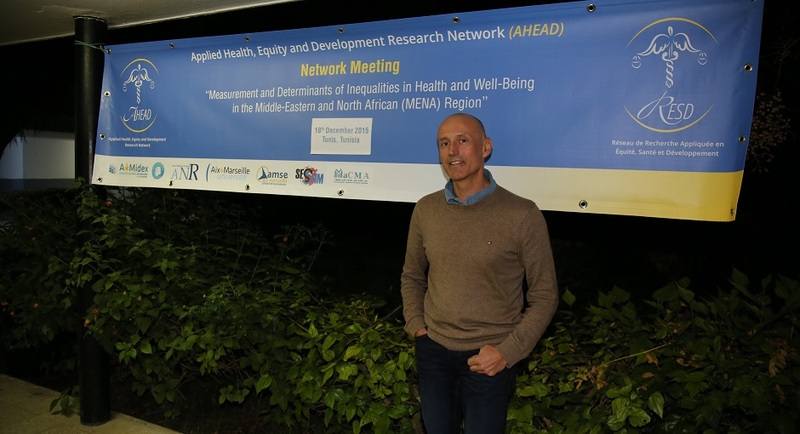 Dr. Yves Arrighi (University of Lille 3) highlighted the recent literature findings on the measurement of health inequality. 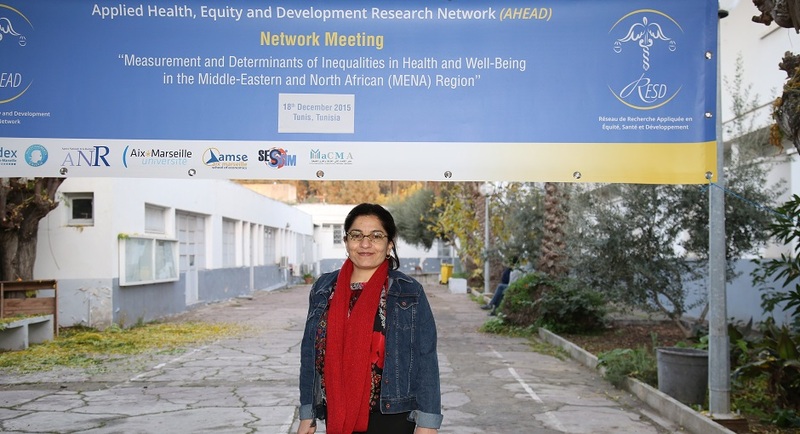 Sameera Awawda (AMSE) presented the preliminary results of the project HEALTHCOV “A roadmap to attain universal health coverage in developing countries: a micro- simulation dynamic model”. 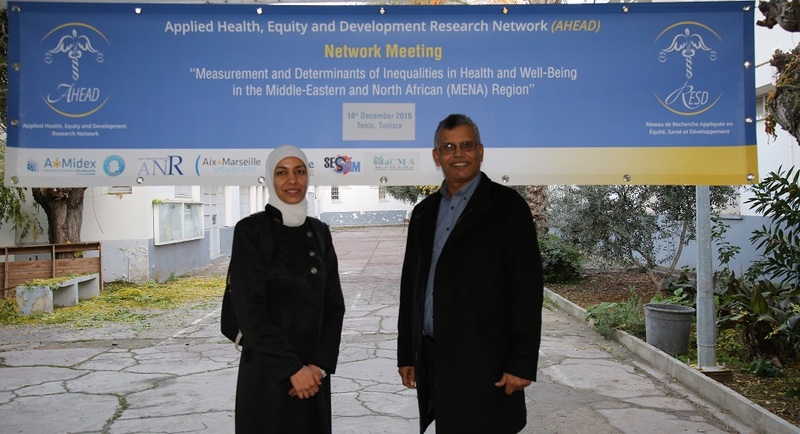 The collaboration experience between Birzeit University (ICPH) and Aix-Marseille University (SESSTIM-UMR 912) was exhibited by Dr. Niveen M. E. Abu-Rmeileh (ICPH, Birzeit University). 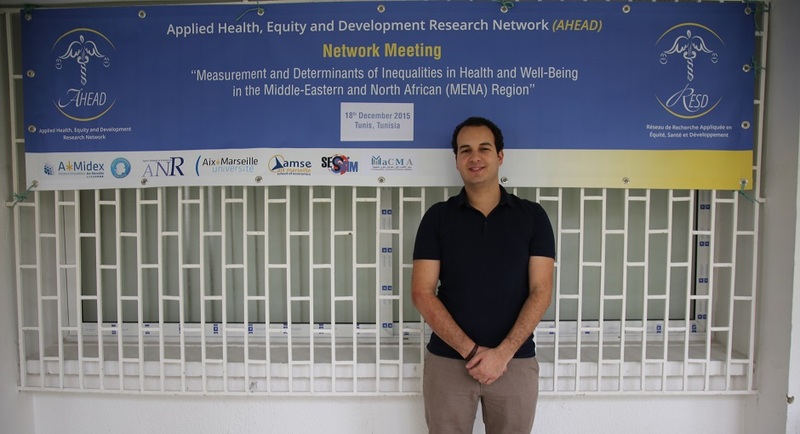 The future academic collaboration (AMU Master and PhD programs) was addressed by Dr. Bruno Ventelou (AMSE, Aix-Marseille University). 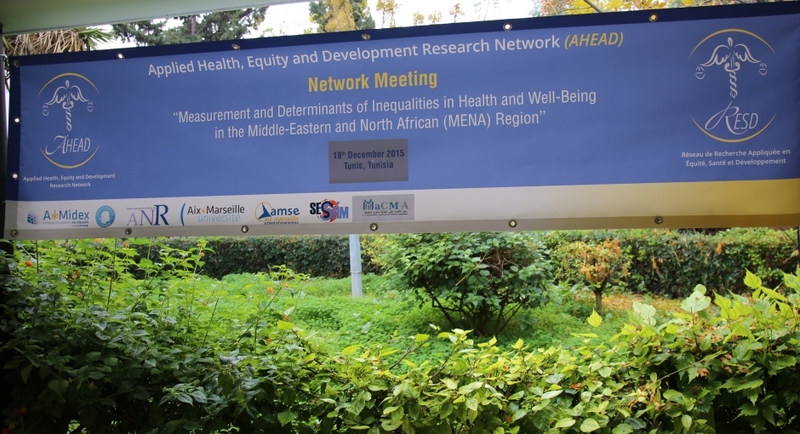 A round table discussing future research proposals and networking collaboration in the MENA region followed. 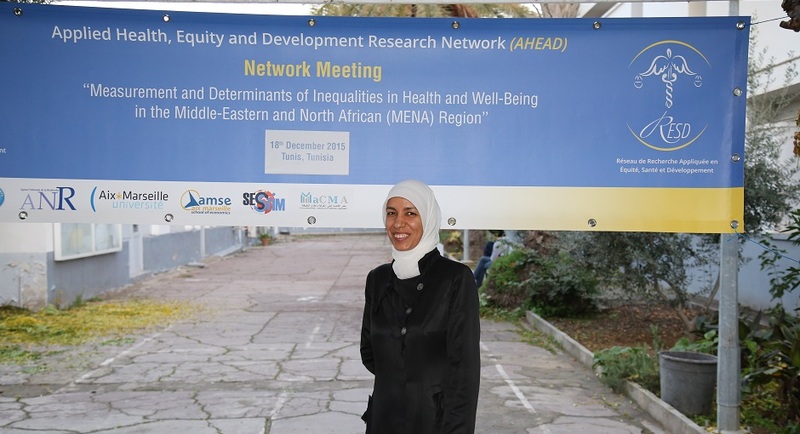 The symposium closed with a discussion of some organizational issues related to the network, in addition to some concluding remarks on further development for research on health inequality and development presented by Dr. Sawsan Abdulrahim (American University of Beirut and Dr. Mohammad Abu-Zaineh (Aix-Marsielle Unversity). 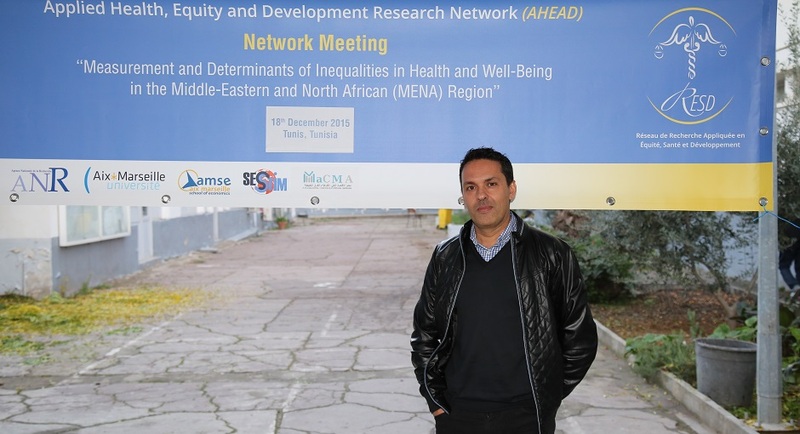 Conference venue: University of Tunis, Institut Supérieur de Gestion de Tunis (ISGT). 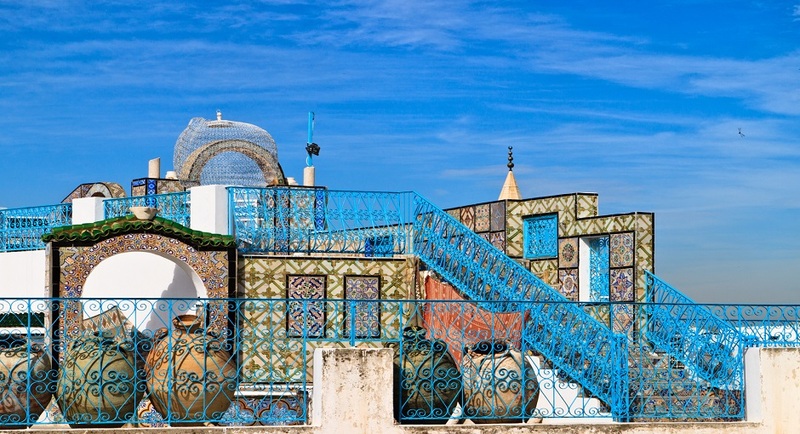 41, Avenue de la Liberté, Cité Bouchoucha, Le Bardo 2000, Tunis.